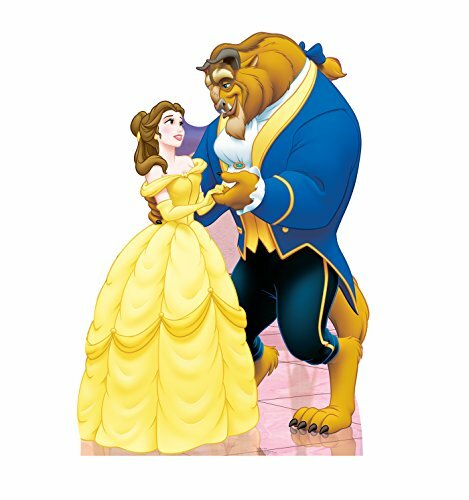 Take home Belle and the Beast from the Disney animated movie Beauty and the Beast with this standup poster. Belle and Beast stand 6 feet tall and are mounted to heavy duty cardboard. This standup comes to you folded and is easily assembled. It is great for mounting to a wall or door, or it can be displayed free standing with the included easel.